Civil discourse. Imagination. Empathy. Understanding. These are not things that you necessarily think of when people from different political parties and ideologies come together for a discussion. But the Sanford School of Public Policy at Duke University is changing that one forum at a time. The North Carolina Leadership Forum (NCLF)—a program of the Sanford School that’s now concluding its second year—brings civic, business, and political leaders together to learn, collaboratively, about a challenge facing North Carolina and, to the extent possible, find common ground. The 2017-2018 forum focused on how the state can best meet its future energy needs, partnering with the Nicholas Institute for Environmental Policy Solutions and the Duke University Energy initiative to present the programming. The group of more than 30 met for 5 times over the course of 9 months to discuss the future of electricity and transportation in North Carolina, more fully understand the challenge of energy poverty, and deliberate next steps in energy production. Why? Participants took the time to listen and understand why their opinions differed from their peers. Although participants didn’t change their political philosophies as a result of the forum, a survey of participants indicated that 85 percent, during the course of the program, made an effort to encourage or facilitate conversations between people of different parties or ideologies in their community or elsewhere. “Although the intent of the forum was not to come up with a specific action plan, it did establish relationships that could help NC leaders tackle some of the state’s energy challenges while more fully understanding the diverse perspectives across stakeholder groups,” said Brian Murray, director of the Duke University Energy Initiative, a partner in forum programming. 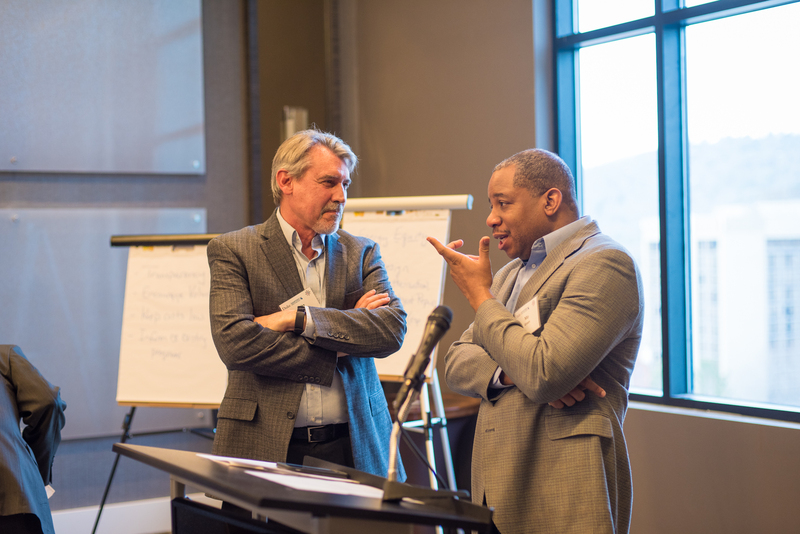 This program was hosted by Duke University’s Center for Political Leadership, Innovation and Service (POLIS). Work was supported by the John William Pope Foundation, the Z. Smith Reynolds Foundation, and The Duke Endowment. Images courtesy of Carr Elliott.